says Danielius Stasiulis, a spokesman for the startups of financial technologies. One success story of such kind acts as a catalyst – it shakes the entire market of startups in the country and then entrepreneurs can learn from the example of good practice instead of working by trial and error method. 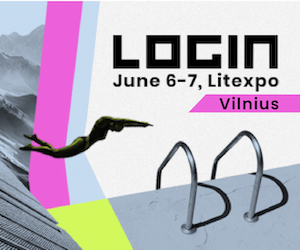 Cooperation between banks and FinTech was also discussed last week at the Rise Vilnius FinTech Week – the first financial technologies week ever organised in Lithuania. Two participants of the event – Gediminas Misevičius, Open Banking Partnership manager at Swedbank and Danielius Stasiulis, founder of Startup Division and co-founder of BitDegree, agreed to share their insights on cooperation challenges between banks and FinTech startups and what would make the name of Lithuania sparkle on the European FinTech map. 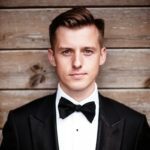 Danielius Stasiulis has been working with startups for the past 10 years. He says tendencies in the region are changing: big companies no longer consider activities of startups just as a game and themselves look for cooperation opportunities. However, in Western Europe it is successfully happening for over 7-8 years, Southern Europe is also far ahead of us. “Such cooperation can be a win-win situation for both sides, but the trouble is that nobody is taking part in the game yet. Everything must start from the top of big banks – a decision has to be made at the CEO level that it is important to develop the innovations with startups both internally and externally. According to him, today it would be difficult to name the examples of successful cooperation between banks and FinTechs because of the lack of smooth dialogue between the two players. The mentioned cooperation should be of equal interest to both parties. According to Stasiulis, big banks are not best known as hotbeds of quick innovations, bearing in mind that adoption of new ideas is expensive. Instead, banks often use their internal resources to make minor and unsubstantial improvements and to solve smaller problems. In his opinion, Lithuania lacks only successful examples of such cooperation. ended Stasiulis on optimistic note. 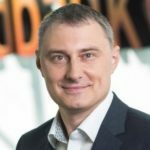 Gediminas Misevičius, Open Banking Partnership manager at Swedbank, is convinced that cooperation must always be a win-win matter for both sides, otherwise there will be no cooperation at all. When asked what kind of benefits the bank would receive if cooperation with FinTech startups would be more intense, he named similar arguments as Stasiulis did. “Sure, as a bigger institution the bank has greater bargaining power – just like in purchases – the bigger the company, the easier it is to negotiate better conditions, because everything depends on volumes. Bank benefits from FinTech for several reasons. First of all, we want to offer our customers as many products or solutions as possible, to create added value along with financial services. This means that the customer is not only provided with basic banking services but also with additional ones, for example, a detailed customer cost analysis based on his payments and suggestions on better money or subscriptions management. When asked to give specific examples where the bank actually benefited from such cooperation, Misevičius stressed that these are too early to discuss because so far, they are at the beginning stage (limited by relevant agreements). Until today we can only refer to examples in Sweden, where the idea of open banking partnership came about much earlier. “I could name two of them which are already introduced in the market: Erply, accounting software system SaaS – platform on our e-bank in the Baltic countries, focused on small and medium-sized enterprises. With the consent of the client, the software automatically synchronises all bank transactions in the legal client’s accounts and, accordingly, makes records in the accounting application in Swedbank’s e-bank. Any details unrecognised by the application can just as well be managed manually. After that, the application will be able to automatically assign records according to this data. Erply operates based on accounting principles and requirements applicable in each country and has various options depending on the chosen plan. Another example is Mina Technologies (former name Mina Tjanster), offering subscription management products for retail banks in Sweden. A personal finances application, which is currently available in Swedbank, makes it easier for clients to manage their subscriptions to services they use in their everyday lives (Netflix, Spotify, Internet, TV, magazines, etc. ), they can cancel any subscribed services simply with one click “Cancel” and the service will be discontinued, so clients will no longer be billed the next month. Both cases illustrate that startups (and not only) have the opportunity to offer exciting new products to the market by using data base of the bank’s clients, thus to rapidly expand their circle of customers. To enhance this partnership even more, Open Banking Partnership manager at Swedbank suggests startups to begin with offering a cooperation model that is beneficial not only to startups, but to the bank as well. It is important to understand that the bank is also concerned about the matureness of the startup and its capabilities to keep promises. He suggests startups should not be afraid to refer to the bank and offer cooperation in various fields. Moreover, there should be no frustration if expectations do not meet the reality – maybe the model is not well considered or perhaps it would be better for the startup to begin with launching an independent product to the market first and come back again after its potential has been proved and only then try to develop it with the help of bank’s clients. 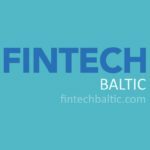 After Revolut, What’s More for Lithuanian Fintech?